Launched in 2007, JetBlue’s University Gateway Program is the first and longest-running pathway program for college students. The University Gateway allows students with an aviation major from one of seven AABI-accredited universities to work toward a career as a first officer at JetBlue. 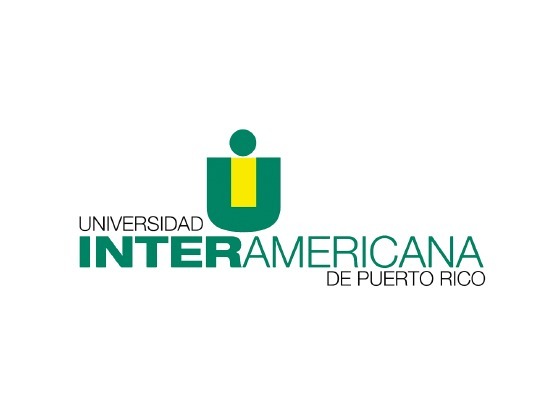 Students in the University Gateway follow a defined pathway that leads to a guaranteed interview upon completion of the Program. If you are a student at Embry-Riddle Aeronautical University - Daytona , Embry-Riddle Aeronautical University - Prescott , University of North Dakota , Jacksonville University , Auburn University , Bridgewater State University or Interamerican University of Puerto Rico , you can apply and interview while still in college. The University Gateway Program continues to evolve and additional AABI-accredited schools may be added over time. Founded in 2016, JetSuiteX is democratizing private air travel and providing both customers and pilots the opportunity to experience flying in an entirely new way. Bolstered by a shared commitment from our leadership teams, Captains and Check Airmen offer support, feedback and continuous mentorship through the University Gateway program. JetSuiteX is a perfect launching pad for lower-time pilots looking to quickly gain hours and experience while flying jet aircraft. JetSuiteX is looking to hire skilled aviators with a passion for delivering joyful, simple and reliable air travel to the thousands of dedicated customers that step onboard our aircraft every week. By joining the extraordinary team at JetSuiteX, you will hone your aeronautical skills while enjoying the benefits and camaraderie that come with building a disruptive business. For more information, contact your university's career services department or send an email to universitygateway@jetblue.com. Meet Rusty Bannister. Rusty is an E190 First Officer based in Boston, MA and joined JetBlue in May 2015. How did you learn about the University Gateway Program? As I started to map out my career in the ever-changing aviation world during college, I remember taking my first JetBlue flight. I used to travel between Orlando and Boston, and specifically remember how different I was treated on a JetBlue airplane than any other one I had ever set foot on. I would go out of my way to make sure I could travel on JetBlue whenever I could, and wherever I went. It was during this time I realized I wanted to fly for an airline I believed in, and one who I knew people looked forward to traveling on. I immediately went to my career services advisor and told him “I want to fly for JetBlue.” He smiled and said “I have just the program for you,” and started telling me about the University Gateway Program. I haven’t looked back since. Why did you choose your specific Gateway? I chose my specific Gateway because it was the one that best fit my goal timeline. Fortunately, I discovered the program early enough so that I was able to meet each goal I had set for myself as I went. It also seemed like the most reliable way to reach my goal of being a JetBlue pilot in the most efficient timeframe. Not only was I hired on with my final airline at 26 years old, I had the opportunity to fly for Cape Air in the process, learning more about flying and character than I ever had before then. Both with JetBlue and Cape Air, I have met some of the coolest “family members” that I ever could meet. I’ve had and continue to have opportunities to do things some people can only dream about. What kind of relationships did you build during your Gateway training? One of the most unique aspects of the entire program is the people you meet. From my internship supervisors one summer, to the Chief Pilot I am always in contact with now, it is clear that it is more than just a “work environment.” Cape Air and JetBlue take pride in creating this “family” atmosphere with the people you work with. Even though I don’t talk to each person I have encountered along the way on a regular basis, knowing that I can pick up a phone and they are there is more support than you need. What’s your advice to anyone interested in joining the University Gateway Program? My advice for anyone interested in joining the University Gateway Program is to set goals, and keep plugging away at those goals. Every few months I set a realistic timeline of what goals I wanted to achieve in whatever timeframe I needed. The best part of the University Gateway Program is everything you learn on each of the different steps along the way. Take advantage of that! Get everything you can out of each step, and the rewards will take care of themselves. Tell us about one of your favorite memories associated with the Program? There have been way too many favorite moments throughout this program. One that stands out however, is the first time I was rolling down the runway in a real jet while wearing a JetBlue uniform. You realize in the climb out that this is what you have been working towards for the last seven years. It is a moment that you are rewarded for all those check rides, rough landings, low visibility approaches, icing, snow storms, and the thousand other challenges that you have encountered along the way. It’s the moments you enjoy like those sunrises and sunsets that nobody has ever seen before, but for you it’s just another Monday at work. Was there anyone from the JetBlue team who stood out to you as a strong mentor or was of excellent assistance during your Gateway Program experience? Captains Eric Poole and Paul Hocking were two people who were always there. 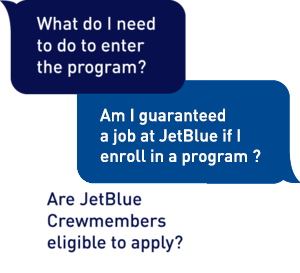 It is amazing to go through this program and know that you can pick up the phone and call a JetBlue Chief Pilot if you have a question, or just need some friendly advice. My mentor CA Tim Luzner was always keeping in contact and asking if there was anything he could help me out with. My internship supervisors CA Chris Popp and CA Brian North had a great impact on me, and taught me all about Flight Ops. I feel like I’m giving a speech after winning an Oscar! The bottom line is that the contact list is fairly long the whole way through the program. There is never a time where you even think twice about reaching out to anyone at JetBlue, even if it’s just to check in to say you passed your ATP check ride! When was your first official day as a JetBlue pilot and any memorable moments from your first flight as a First Officer? Like I said before, the most memorable thing that stood out to me was rolling down 22R on my first takeoff. I remember saying goodbye to each of the 82 customers on board as they deplaned in Washington, D.C. It was an amazing feeling to look back at all your accomplishments achieved that aided you to complete a flight like that one. Tell us what it’s like being a pilot at JetBlue? What do you enjoy most? One of my favorite things at JetBlue is that the job never ever gets old. There are always things going on to keep it exciting. Whether it is an opportunity to help build a playground in the city through our partnership with KaBOOM, or participating in events like Wings for Autism, or simply bidding reserve because it’s exciting not knowing where you might be headed that night. I enjoy the challenges that come with the job when weather rolls through, and I enjoy hand flying the airplane on a crystal clear calm night coming back home. Whether you like island hopping in the Caribbean, or the longer Florida to New England flights, there never seems to be a dull day. Working for a company that takes extra care of its crewmembers is beyond rewarding, but working with crewmembers who take extra care of their customers is unbeatable!